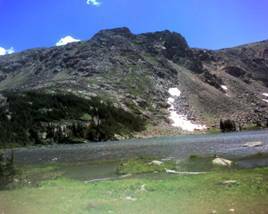 My significant other and I decide it is time for a short, easy hike in Indian Peaks. We are surprised to learn otherwise. The Diamond Lake trail seems harmless enough. While one must undergo the ordeal of driving four rocky, bumpy, abusive miles of dirt road to reach the Fourth of July trailhead, the trail itself is listed as a mere two miles. 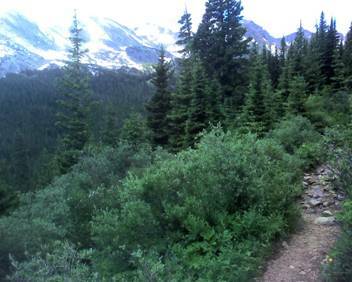 The trail, like nearly all in Indian Peaks, is jaw-dropping. Unforgettable peaks, streams, wildflowers, and wildlife flourish here. We stopped for photos. Jumped in pools of water to immerse ourselves in the ice-cold snow melt water. Had a leisurely lunch. Much of the trail is rather steep, and combined with our dawdling, our two-mile hike ending up consuming most of our day. This trail, however, should not be missed.